You can connect layers to effects that have a single input or multiple input, such as effects using masks. In the Timeline view, select the effect you want to connect to the drawing layer. 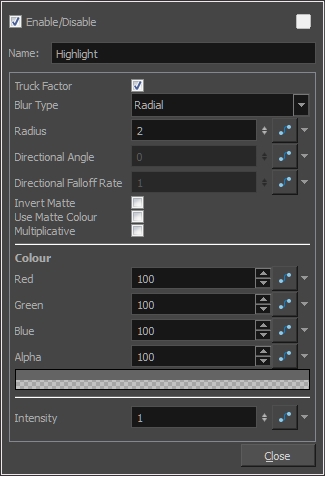 Drag the effect and drop it onto the drawing layer. 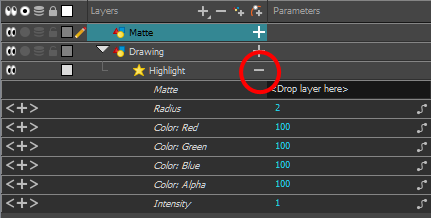 Connect the Matte drawing to the Matte port of the Highlight node.